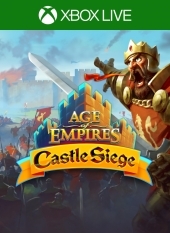 Age of Empires®: Castle Siege invites you to guide your empire through the Medieval Era on your Windows PC or touch screen device. Choose from one of several civilizations, including the Britons, Teutons, and Kievan Rus. Upgrade your keep, fortify your walls, and garrison defensive troops to protect yourself from marauders. Then, train an army to raid other cities, and command them in battle to dismantle your opponents’ defenses. Over the ages, you’ll research technology, live through famous battles, and recruit a variety of heroes to your side, including Saladin, Richard the Lionheart, and Joan of Arc. Outsmart your attackers and outplay your victims to earn achievements and climb to the top of the leaderboards. Take command, and make your mark on history! * Age of Empires®: Castle Siege requires users to sign into Xbox with a Microsoft account to play. 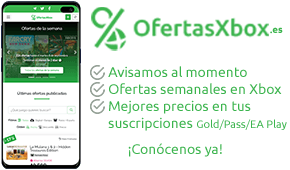 Desarrollador Smoking Gun Interactive Inc.
La dificultad para obtenerlos estimada por los usuarios es 8.5/10 (2 votos).